Despite this rise in expenditure, not all businesses are actually able to drive the real benefits – conversion and brand authority – from their social media marketing campaigns. 38% of social media marketers from around the world stated that they are seeing no return on the money they’re spending on social media activities. What’s more – 35% of them are not even sure if they’re able to measure the ROI of their social media activities. Is it because they’re misunderstanding their target audience? Or, because they’re focusing on the wrong platform? Or, because of the bad quality of their content? Or maybe, simply because most of these campaigns are focusing on the wrong objectives in the first place? For most cases, either of the two (or maybe both) reasons may be responsible: wrong expectation by the businesses (because of a lack of understanding about what actually drives conversion on social media), or because of a naive or immature social media consultant handling the job. Here is the solution: Solve the second problem by hiring a seasoned social media expert or consultant for your online marketing purposes, and s/he will take care of the rest, that includes setting your expectations right by helping you understand the peculiarities of the medium. Unlike the other experts of digital marketing (such as SEO or PPC experts), a social media expert’s work profile is more dynamic. They directly represent their clients in the virtual world. They have to directly interact with the audience through their business account and have to feed them with more vibrant content forms on a comparatively more frequent basis (in most cases, daily). On social media, it’s not just your actions (liking, or sharing a post or commenting on it), but even their manner or tone (using formal, semi-formal, or casual language) that are accounted before your audience, and that too in real-time. Brands with the right moral, ethical, and social image are welcomed and revered by their audience, and those who behave otherwise are blocked instantly by the users. Digital marketing agencies handle the marketing needs of multiple clients who belong to different business categories. Generally, social media experts in these agencies have to handle the works of clients with more than one business categories. So, if you’re a digital marketing agency, you’ll need to hire a more versatile social media expert with an experience of working with different business types. The first thing digital marketing agencies need to do is know about their needs and requirements. For that, they need to identify and broadly categorize the nature and brand tone of their clients as formal, casual, or semi-formal. This will help in identifying the right person for the job right from their resume. Suppose, you need an expert for handling clients of a more formal nature, such as healthcare marketing clients, you’ll know, right from the resume, that a candidate with experience of working for other industry types, say, entertainment industry, may not be the right fit for the job, and the vice-versa. And if you find the candidate eligible based on the nature and brand tone of your client, then you can move on with starting the evaluation of the candidate by strategically interviewing them, and analyzing their previous work experience. A well-prepared resume is enough to understand these, however, the HR should also talk to the candidate face-to-face or on phone to verify what’s on the resume. Asking the right questions here will help understand what kind of job positions the candidate was holding in previous company or companies. As your social media manager will be borrowing your voice and using it to build communities around your brand, an understanding of the local people’s mindset and their culture is of utmost importance. It doesn’t strictly mean that the candidate needs to be born and brought up in a respective place. A long-term stay – at least 3-5 years – at the place should be enough for a good understanding of the social, political, religious, and cultural mindset of the general masses there. 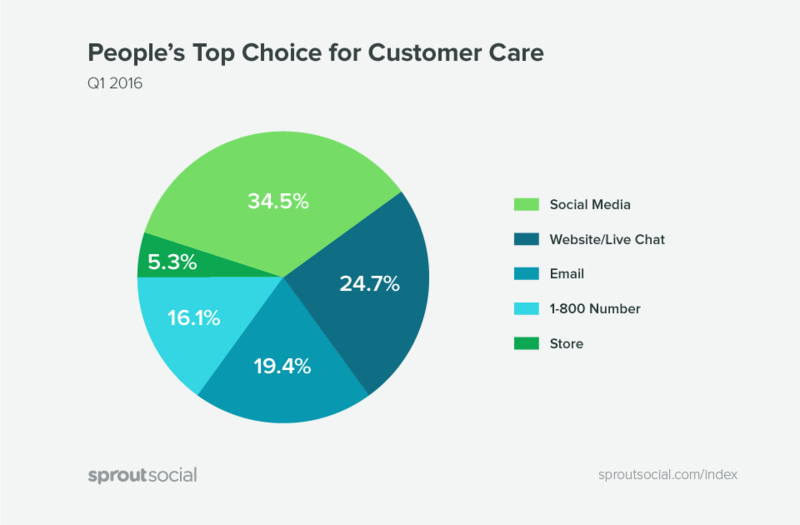 This is also important as according to studies, social media is people’s top choice for customer care. A major part of the customer care includes communicating and interacting online, mostly on social platforms. Here, a person who understands the local population (their wits and their humor) more closely can better engage with the audience. Check if the candidate is a well-read and a well-aware person with an interest in a diverse range of topics, apart from everything that relates to the brand directly or indirectly. Does he read books, magazines, or blogs? What sort of? From which outlets or sites? Also, is he exposed to all forms of media types; podcasts, video blogs, and of course blogs and articles? As a social media manager, a major part of the job will be to create fresh, educative, and interesting content of all types (including text, image, infographic, and video content) on a regular basis. Here, a well-read person can add different layers to those content while creating them. Also, they can interact with the audience over those content more effectively. The HR’s part of the job is to identify the must-have traits in a candidate for the social media expert position. Great copywriting skills are a fundamental requirement for a social media manager’s post. On social media, getting people to click on a post, like or share them isn’t easy. Your social media marketer’s copywriting skills, such as catchy headlines, maintaining brand messaging and brand tone, etc., will decide if it creates engagement with your audience or not. The language of the social media posts should be simple (using the popular terms and in the language of the audience), and understandable (writing short sentences and avoiding complex long sentences). Using words and terms that revolve around the most popular and relevant hashtags helps social platforms in categorizing and showing the content in “trending” sections. Check if the language and its tone are doing justice to your client’s nature and the brand tone. Is the language casual, professional, or in-between? Is the tone cheerful, serious, or concerned? During the analysis, do not forget about the purpose of the particular post? Depending on the purpose, check if the language is instructing, informing, or entertaining. The writing should convey the message as quickly as the text is fully read. There should be no confusion in your mind regarding what the post wanted to say, and regarding how it desired a profitable converting action from the readers. As most social media platforms allow posts of a very limited length, the writing language should be designed in a succinct, compelling, and compact way. Language conciseness isn’t needed just because of the character limitations on these platforms, but also because posts with shorter character limits are found to be more performing too. Read this research by Buffer. According to the research, Facebook posts with under 40 characters receive a whopping 86% more traffic than the longer posts, while the most performing tweets on Twitter is found to be between 71-100 characters, and for Google+ posts, it’s around 60 characters. This goes without saying. You cannot allow a grammatical mistake in the posts you’re doing for your clients. This will do harm to their brand’s reputation. So, check for such mistakes in the copy. A small mistake can be avoided if you have a dedicated proofreading channel in your office, but if not, think twice before hiring a candidate who cannot write error-free sentences on their own. The first two phases of the screening help in only deciding whether the candidate is good at the basics or not. If your candidate successfully passes these two phases, s/he will enter the third and the last phase (and also the most important one) where their marketing and strategic skill sets, and technical know-how will be assessed.